Astounding photographs of our world from outer space and edge-of-your-seat stories of survival in orbit--including close collegiality with Russian cosmonauts--make this a dazzling, personal account of living on the space shuttle. 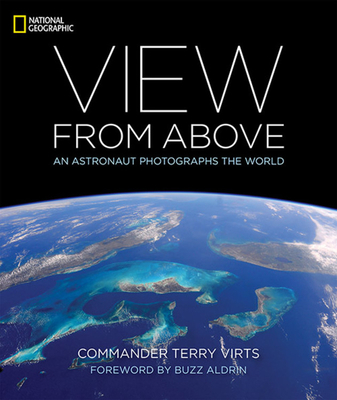 Few people get the experience of seeing the world from outer space--and no one has taken as many pictures of Earth from above as Terry Virts. Celebrated NASA astronaut, pilot of the space shuttle, crew member on Soyuz, and commander of the International Space Station, Virts has spent more than 200 days in space--and very few of those days went by without his reaching for his camera. Astronaut TERRY VIRTS grew up in Columbia, Maryland, outside of Baltimore. He wanted to be an astronaut ever since he read his first book about the Apollo missions when he was in kindergarten. He earned a bachelor of science degree in mathematics from the United States Air Force Academy in 1989, and a master of aeronautical science degree in aeronautics from Embry-Riddle Aeronautical University. Selected by NASA in 2000, he was the pilot of STS-130 mission aboard Space Shuttle Endeavour. In March 2015, Virts assumed command of the International Space Station, and spent over 200 days on it. Virts is one of the stars of the new IMAX film, A Beautiful Planet, released in April 2016.